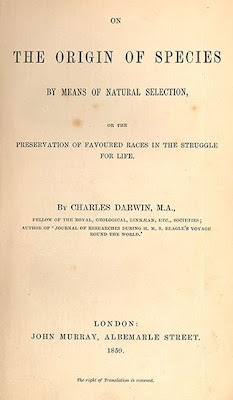 Irtiqa: "The Origin of Species" at 150! To celebrate 150th anniversary of the publication of The Origin of Species (it was first published on Nov 24, 1859), check out this fantastic interactive website at NSF: Evolution of Evolution (tip from Laura Wenk). It is surprisingly broad and features some excellent essays and audio interviews. Also, check out this lecture by E.O. Wilson (via video) and a panel discussion that took place earlier today in the same room where natural selection was first debated. Also, see the response to the first question for the panel: What would have happened had The Origin of Species never been published? 1. 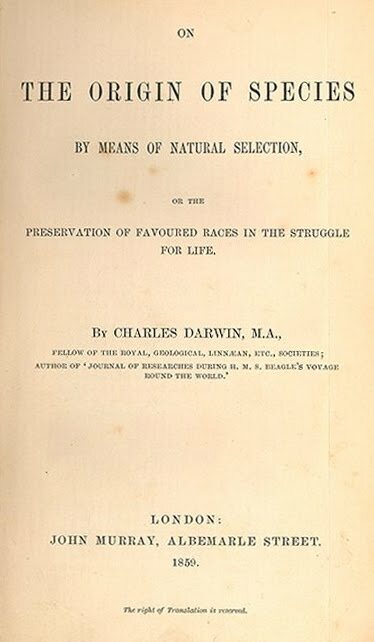 F. Darwin, Ed., The Life and Letters of Charles Darwin (John Murray, London, 1887). 2. G. de Beer, Evolution by Natural Selection (Cambridge Univ. Press, Cambridge, 1958).